This system use Simplified Power Over Ethernet (xPoE) tech With 8 channel 720P, you can synchronous video playback and get the whole event under control. It also has the motion detection and sends you alerts by Email or FTP. This system use Simplified Power Over Ethernet (xPoE) tech. Ethernet cable connection between camera and NVR will transfer data and power simultaneously. 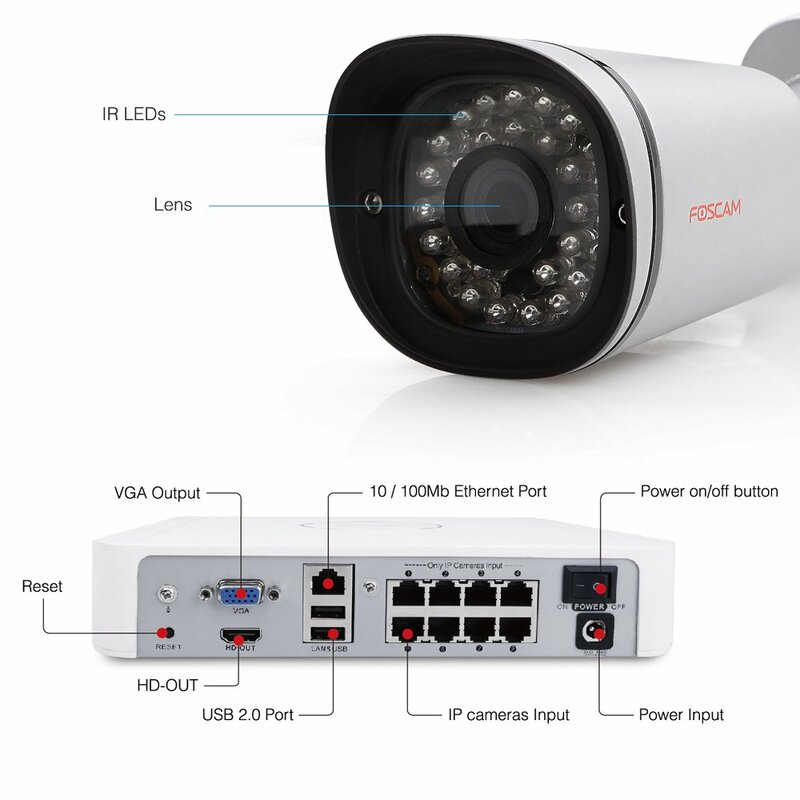 4 xPoE 720P cameras (FI9800XE) included in this kit. NVR support up to 8CH cameras. 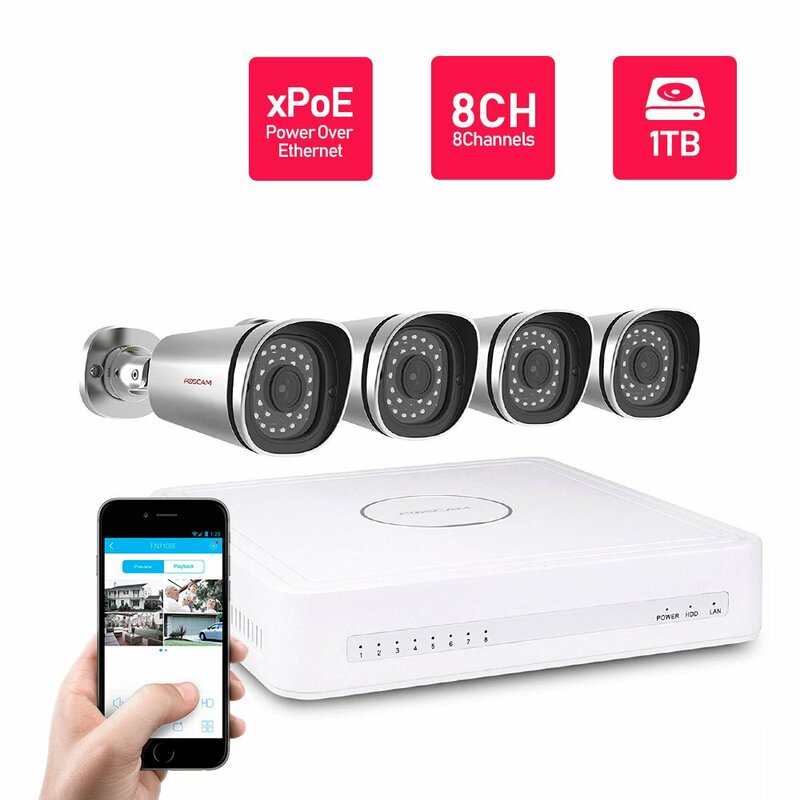 4 units 720P HD xPoE outdoor cameras included. 83-degree wider viewing angel. 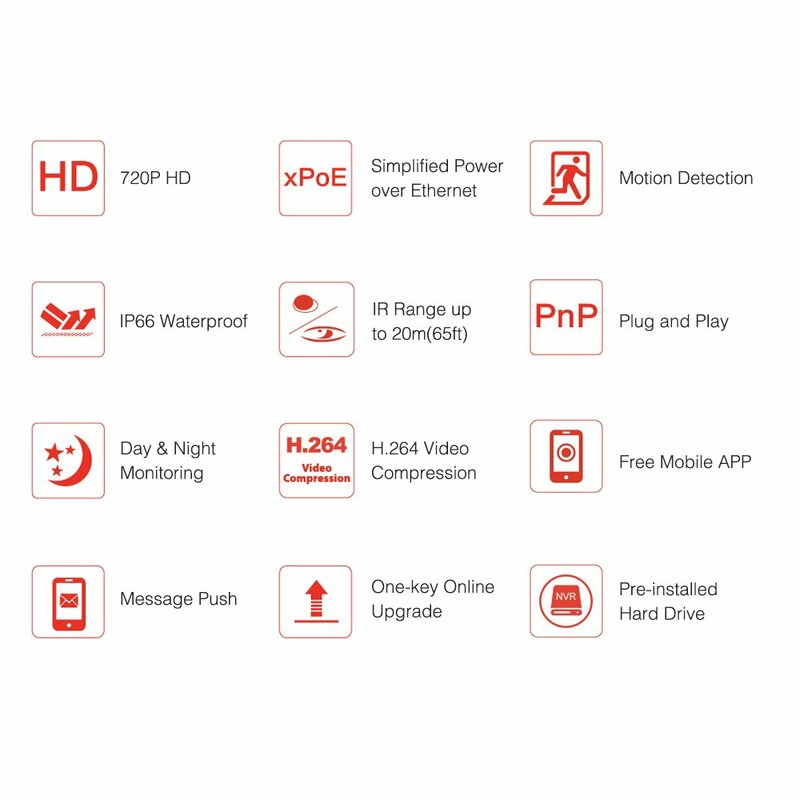 IP66 level certificated weatherproof design leaves you free of worrying rain or dust and make it perfect solution for yard, villa, home, home, warehouse, office. Night vision up to 65ft with 30 units powerful IR-LEDs. 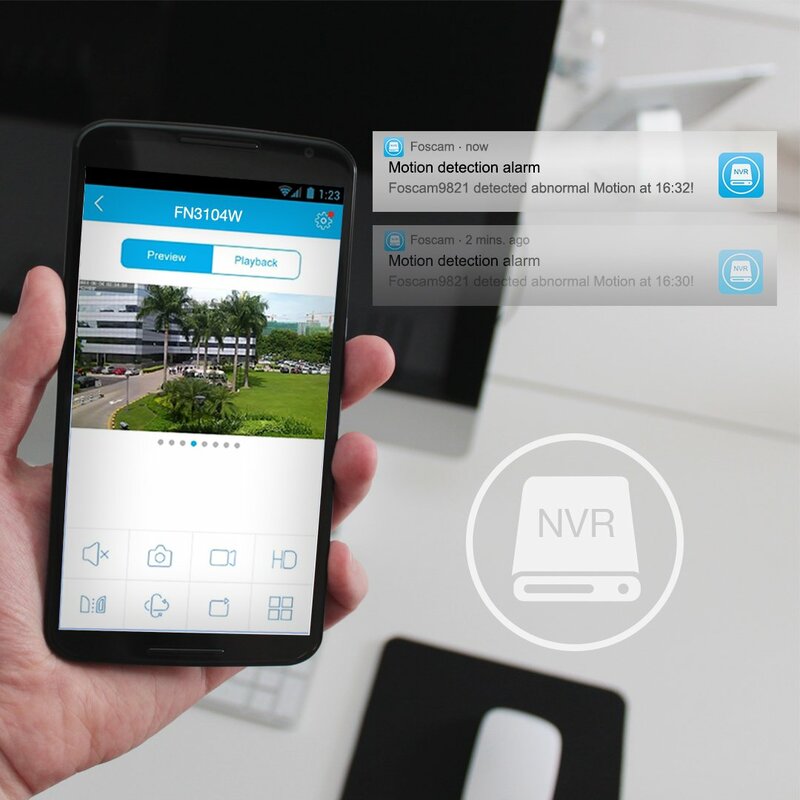 View, playback and control your security system locally by connecting NVR to a monitor via HDMI/VGA cable, or remotely by Android/iOS phone or PC/laptop (IE or Safari browser). 8-CH live viewing and recording. 8 channel 720P synchronous video playback and get the whole event under control. Camera detects motion and send you alerts by Email or FTP. Configure your own motion detection sensitivity or alarm schedule. Pre-installed 1TB HDD and could be upgraded to 4TB as maxim. For longer recording, try motion detection recording which only record when motion is detected. 2x USB2.0 port available and transfer your data to external USB devices as backup.